This may cause some controversy, but I have to confess, I’m really not a fan of a fried English breakfast. I don’t like fried eggs or baked beans and the whole thing just seems really greasy and sloppy to me. I’m not a huge cereal fan and whilst I often have fruit and yoghurt because it’s good for you, I definitely prefer savoury over sweet. So basically, I find it really difficult to come up with breakfast ideas that I actually like. When I do stumble upon something I like, I think I overdo it and get bored of it. I went through an omelette phase a while back but that’s gotten a bit old. My current favourite breakfast is something I sort of made up one morning out of a random selection of breakfasty ingredients I found in the fridge when I didn’t have any eggs or bread. It’s basically a little medley of breakfasty type foods, cut into evenly sized chunks and lightly fried with a few spices for interest. 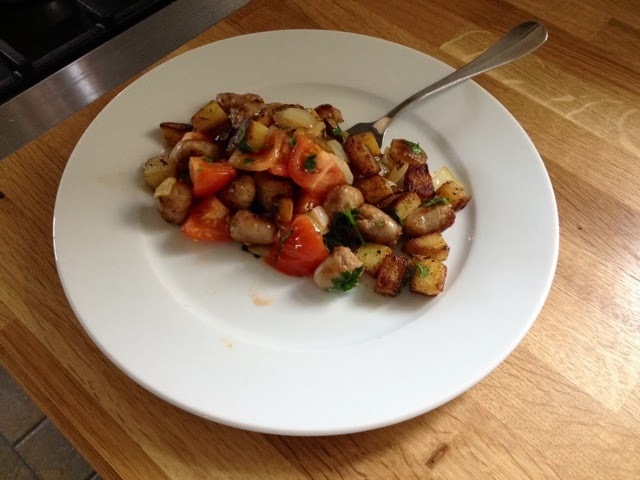 And there you have my breakfast hash. You don’t need to be too picky about what goes in it, just whatever you have in the fridge or whatever you fancy. You may wish to add chopped boiled eggs, bacon or mushrooms, it’s up to you. 1. 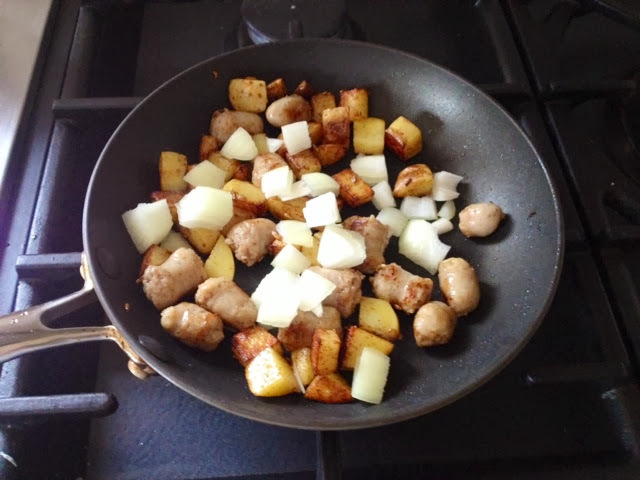 Cut up the onion, potato, sausage and tomato into roughly evenly sized chunks. 2. 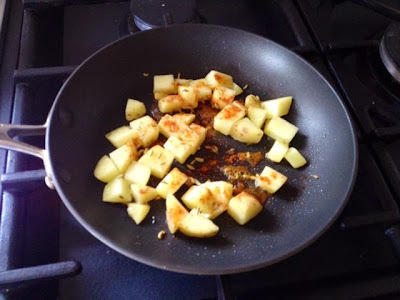 In a small pan on a medium-high heat, begin frying the potatoes and add the fennel seeds. Sprinkle in the paprika. Fry until potatoes start to soften and brown. 3. When potatoes no longer look raw add the sausage and onion. Season with salt and pepper. 4. 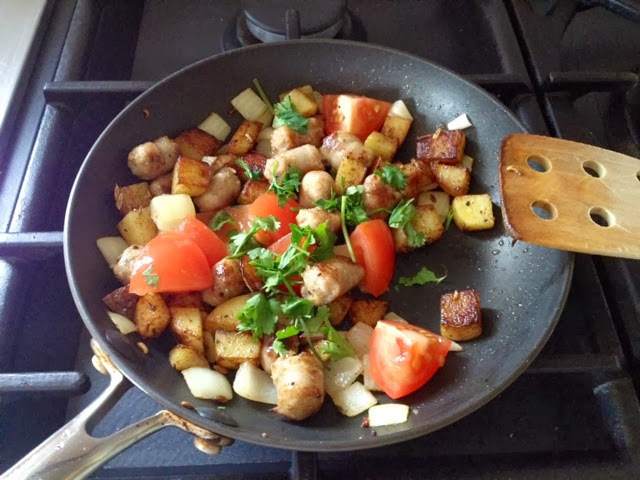 When the sausages are cooked add the tomatoes and herbs and fry for a further 2 minutes to warm the tomatoes through. 5. Dish up and gobble down for your brekkie.